Ena is using Smore newsletters to spread the word online. 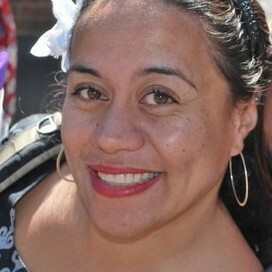 My name is Ena Lakisoe. 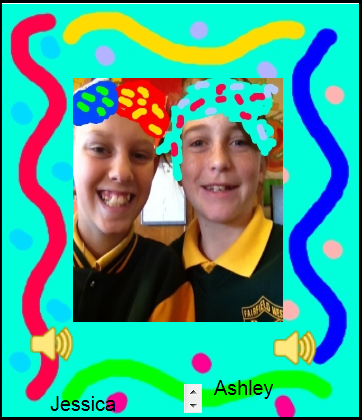 I am currently an ICT Mentor in Fairfield West Public School where I work with teachers K-6 in both mainstream and support unit. 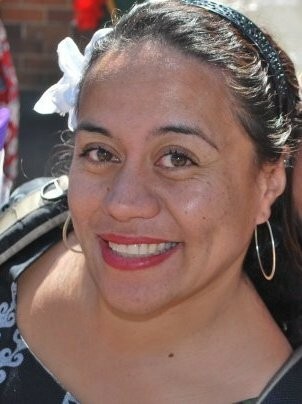 My role is to mentor and support how technology can be used as a vehicle for teaching and learning. This involves iPads, Interactive Whiteboard training and webtools. My journey continues to change and challenge me. I am passionate about learning and life in general. My views are my own. Introduction : Today started the first day of a new learning journey which already began with new skills sets, innovative ideas, reflecting on our own current practices and minds sets as well as putting us as learners right out there out of our comfort zone! From the get go we were exposed to a variety of tasks that we could also take away and do with our teams and our students. Different approaches to tackling everyday tasks and making it more engaging and adding different elements to it. Coaching Communication Cue Card : Active Listening, Paraphrasing, Clarifying questions and then Probing questions process was difficult in that as teachers we automatically want to guide more assertively, give more answers and feedback. The difficulty was zipping it and not blurting out answers but thinking about guiding questions to help the person being coached to see the light for themselves. By letting them find their pathway they were able to think for themselves, take ownership of the development of an idea, concept or plan. While difficult to be quiet in my case, I can see the real empowering value of such a tool and have seen this model in action. Hmmm…going to learn to deal with the silence! How will I explain coaching to others? For now I have lots of questions and not many answers. I am excited with the prospect of transforming pedagogy and know that there is no quick fix or ultimate answer to this but more an ongoing journey to evolve, in an ever changing world full of technology, educational issues, shifting paradigms and varying mindsets. It is with this philosophy in mind that has me thinking not what our limits are but where we can go from here and what technology tools we can use as vehicles to get there! Here is an interview of my coachee Dale Heterick. The first part is hard to hear but hang in there as it gets louder and you can hear the enthusiasm, thought processes and journey through Peer Coaching and building a Collaborative Community with a Problem Based Project. This year I have been fortunate enough to be part of a Global ICT initiative whereby students have been making animated videos highlighting the causes and solutions to the degradation of the Great Barrier Reef. The project has provided me with the opportunity to engage and extend my students in a meaningful project with a real world connection. The opportunity to extend the learning of the students beyond the walls of the classroom has enabled the students gain 21st century problem solving skills within a collaborative and cooperative learning environment. 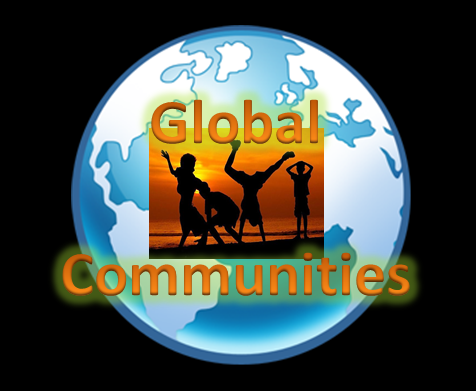 The students have developed a global awareness and recognised their place within the world. Having an audience beyond their immediate environment has made the students more accountable and enhanced self-regulation. The project has worked well as it has been linked to the curriculum in a meaningful way. The students were given an open ended task that drew primarily on their own ideas and their own creativity. The students have been asked to interpret a complex situation and produce a complex response by working together to achieve a common goal. The open ended nature of the project combined with carefully chosen mixed ability (Multiple intelligences, rather than purely academic) ensures that the task is differentiated as well as providing students with the opportunity to communicate substantively within their zone of proximal development. To ensure the success of the project students needed to be given a wide scope in terms of how they are allowed to present their ideas. Effective technology learning needs to be more metacognitive than prescriptive. This project has focused more on using the technology at their disposal to solve a problem rather than being explicitly taught how to use a specific function. The advantage of this approach is that students develop the skills to adopt technology rather than simply use a single feature of technology. What this has provided for the students in this project is that students have become more comfortable in taking risks and have become very thoughtful in terms of how they present their information and how it is received by the intended audience. It is however clear that this project and all of its success would not have been possible without the additional support provided by my ICT mentor. This particular project has required that students have been given a prolonged access to iPads as well as extended time additional ICT resources in order to be successful. Without the additional time afforded me as part of this trial it would have lacked the scope needed to ensure that it become a meaningful experience. Next week our local Fairfield Newspaper will be out to our school when we next connect with our friends in Cali! My coaching log is varied and I hope gives a picture of the meetings, conversations, emails, posts and development of our Peer Coaching journey. 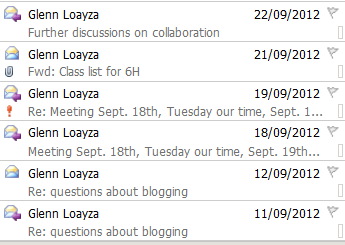 My log consists of Timetabled Professional Learning and Teaching weekly, Emails and Edmodo posts. The two teachers I chose to coach and work with on our Global project were Dale Heterick and his Year 6 class in my school. We built into the timetable in term 4 to work together one hour a week on a Wednesday afternoon for Peer Coaching sessions one on one, preparation and planning time or team teaching in class. Below is a brief outline of what we did or plan to do in each session. The other teacher is Glenn Loayza who is an ICT Mentor and Coordinator in California. 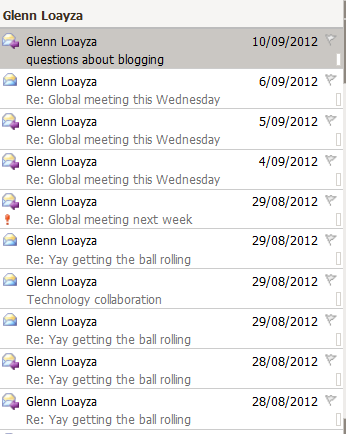 I have taken photos of the email log between us. The titles of the emails give an indication of what each email was about. 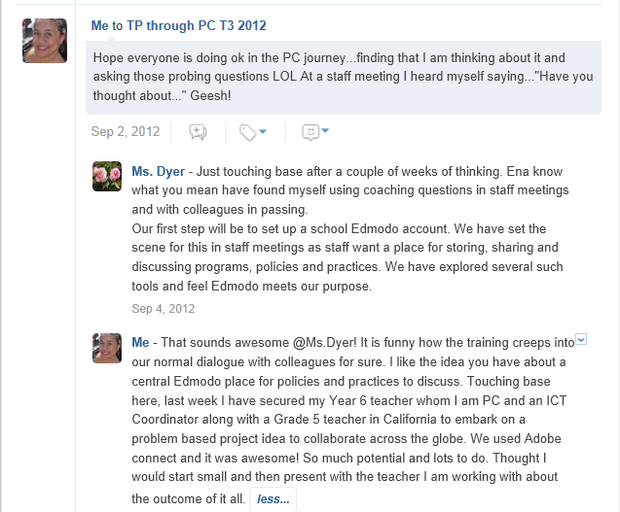 Finally, I have also included my thoughts and questions to my Professional Learning Network on Edmodo. It is here that I went to for support, ideas and shared some thoughts of where I was up to in my journey! 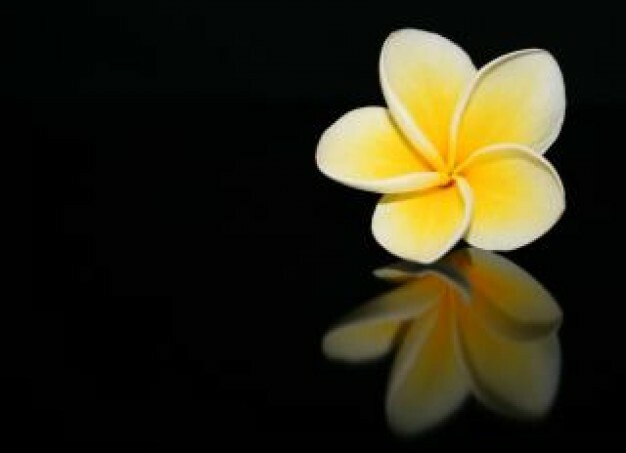 Personal Reflection - What I have achieved? I finally understand what the term 'Transforming Pedagogy through Peer Coaching'. For myself the growth in my own thought processes and how I approach people to work with collaboratively, mentor or support is completely different to where I first began. I feel like I have inside transformed! I always thought helping integrate technology was all about showing the way. Giving the answers and directing and suggesting what I thought was the best possible way in which technology could be incorporated into teaching and learning. I was not a Peer Coach but more a Peer Pilot. I was driving the journey and I had the destination set. No detours or stops...no mystery nor alternate route. One way with my peers along often as passengers. Peer Coaching has shown me that in order for real change to occur and others to be enlightened, engaged and excited...I need to let them pilot their journey. My role was to coach through probing and asking hard questions to guide the driver into exploring unexplored territory, possible routes and even different vehicles to get there. In shifting my mindset and letting others lead I also became excited and engaged because I didn't know where we were headed! It also meant that the teaching and learning went far beyond what I could dream up because it was now someone elses adventure! S - Squirm, Stun and Surprise with the hard questions! In my role as ICT Mentor I will continue to use Peer Coaching skills to transform Pedagogy along with the Learning Activity checklist to build Quality teaching and learning lessons and programs as a Coach and not as the Pilot! I am amped and excited about Peer Coaching and have made some great networking buddies. My mind is filled with so many thoughts and while the 3 days was awesome and had lots of opportunity to practice PC, somehow I still feel a little apprehensive about doing PCing with people when I still feel like I need to read from the card of prompts. Finally sat down to look through the folder and try and get my head around who to work with and what to do! I approached my DP who is my supervisor also and explained in brief what the PC process was and how I needed to select some victims/volunteers to work with. 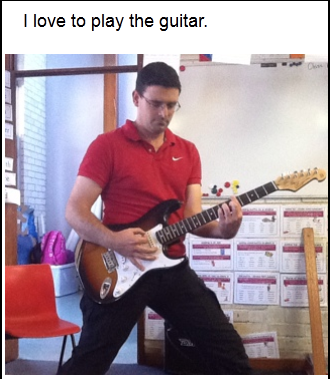 His initial response was to just incorporate it into my role as ICT Mentor with all staff. I walked away thinking I really need to concentrate on a few rather than the masses so I can track my own progress on a specfic case study rather than trying to do a whole world change. I posted on Edmodo asking others what they were going to do. Opportunity seems to have revealed itself in that an ICT Teacher from California has contacted me about my role and ideas to help him in his new role with ICT. He has been thrown into the deep end. Thinking now he has already asked me to help mentor him that I can use this as a case study also. Mind is ticking. 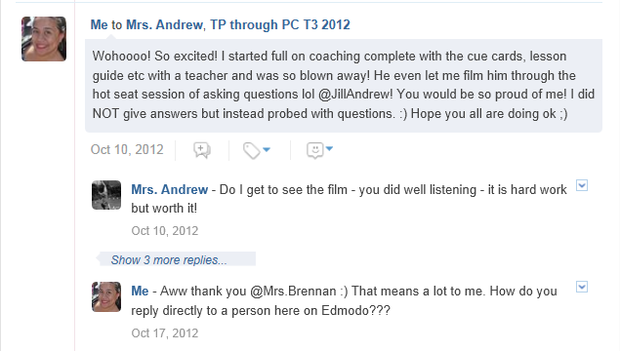 I decided to post a survey on Edmodo to ask how people are actually going to present PC to their staff. To the principal, a group, a staff meeting etc. Hoping it will help me in deciding how to present this. I have decided to present it after I have evidence and others whom I have coached to give testimony that this indeed is an effective form of planning, thinking and collaborating as I do not want it to be my word only. I am coaching my Y6 teacher with what PC was all about and how we can take a lesson and begin to develop and improve it. I found that I needed to folder in front of me and I needed also to read the scripted questions to help prompt our thinking. I also had the lesson improvement template on the computer and I had him type and discuss while I asked the probing questions. It was slow but I could actually see the lights going on for both of us. I even stopped myself from giving answers and ideas. What was revealed to me was amazing and I am so inspired! I had to film it and the ideas that my coachee has come up with has literally blown me out of the water. We have ideas...scratch that...he has ideas and as it happens we will be combining with our California teacher to build a collaborative community. In amongst the discussions and emails it has been an interesting and varied journey as I discover that trying to get two people with different needs to decide on a project idea is rather difficult. The reality is there is a lot of negotiating and a lot of discussion so that we can ensure that everybody is happy and both sides get their Standards based task met because this will mean double workload or work that is not necessary. Well it has been a whirlwind of teaching, supporting, learning and listening. 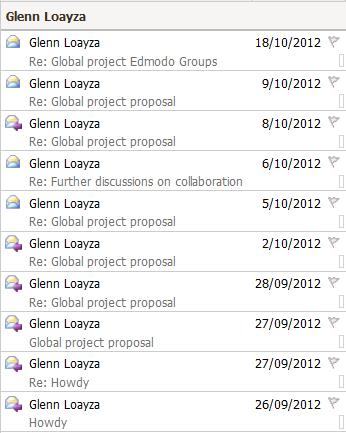 Lots of training and given in the form of emails, adobe and in class demonstration to ensure that the project flows. I realise even more so the importance of giving regular and consistent feedback and time to develop PC relationship and communication. 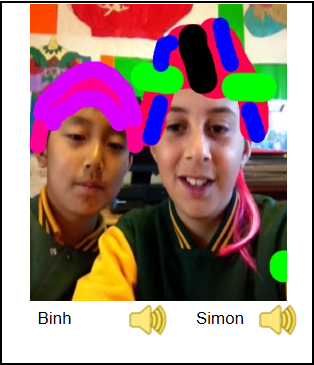 I got so excited that I had to go and grab our DP to watch the kids as they build and film their Stop motion animations. The class atmosphere is electric! I am being harrassed on a daily basis if I am coming to visit their class!